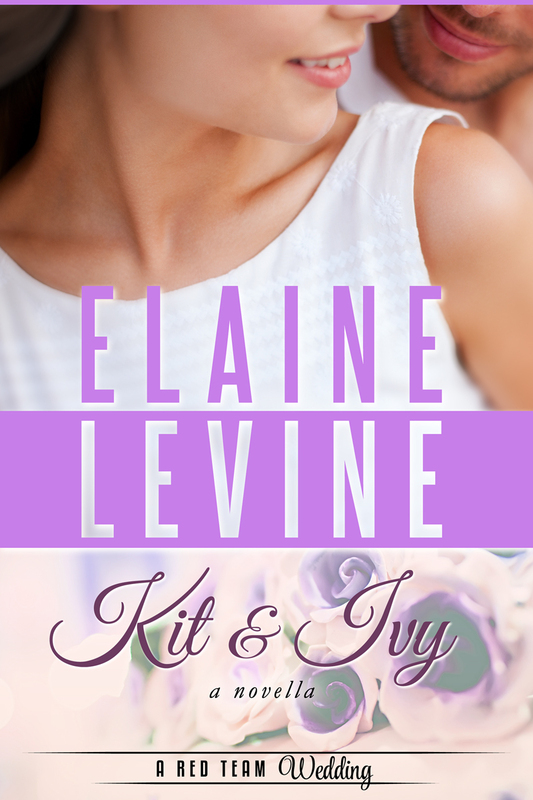 Kit & Ivy is a novella that follows the wedding preparations of the couple from Honor Unraveled, the third book in Elaine Levine's Red Team series. However, it also adds to the continuing storyline for the series, and I highly recommend reading this series in order, starting with Book 1, Edge of Courage. This review does contain spoilers to the previous books. Life was finally looking better for Kit Bolanger. He and his team members may still be deeply involved on an assignment. They, and all their loved ones, might be in danger. But Kit couldn't ask for more in life. He and Ivy were finally getting married - now. He'd waited too long for her. It had been over a decade ago, when they'd been teens, that they'd been separated. And it was only now that he had finally been introduced to Casey, their daughter, and got to know her. This was what he had spent so much time fighting for. His family. His friends. Ivy Banks was finally marrying the only man she had ever loved. So much had happened between the time they had been together as teens and now, but their love was the one thing that had endured. Having Kit back in her life wasn't the only change she and their daughter faced. They had been uprooted from their home, were living with a house full of team members and their extended family and friends. They couldn't just go out on their own due to the danger, but Ivy wouldn't go back for anything. She had waited too long for Kit, for their wedding, to let anything, or anyone ruin this time for them. Kit & Ivy was an exceptional novella that not only shared a glimpse into this special time for Kit and Ivy, but also shared tantalizing glimpses of future storylines. Hopefully that will be arriving soon! As with every Red Team story, the extensive cast of characters series are intertwined in the daily lives of the main characters. They are colorful, engaging, entertaining, and for those whose stories we've yet to read, those characters are demanding their own. Now. Or at least the readers are yearning to read them. Now. Thankfully we have the promise of another story soon.